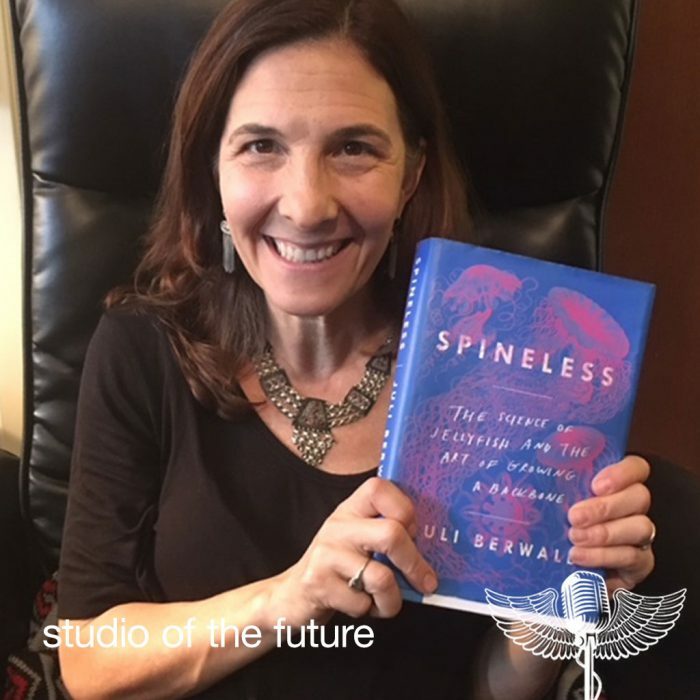 Juli Berwald is an enthusiastic ocean scientist with a new book entitled, “Spineless: The Science of Jellyfish and the Art of Growing a Backbone.” In college Juli’s first snorkel adventure took place in the Red Sea, where Marine invertebrates stole her heart. Hoping to study the ocean forever, she spent seven years building mathematical algorithms to interpret satellite imagery of the ocean, and received her Ph.D. in ocean science. Then she met her husband-to-be and drifted away from the ocean to Austin, Texas to start her family. She wrote textbooks and popular science articles for Wired.com, Oceanus, Redbook, and while writing for National Geographic Magazine, discovered a fact about jellyfish which led her back to the sea and the creation of this impactful, fascinating book. Juli graciously provided a signed copy of her book “Spineless: The Science of Jellyfish and the Art of Growing a Backbone” to support the Sanford Community Center.